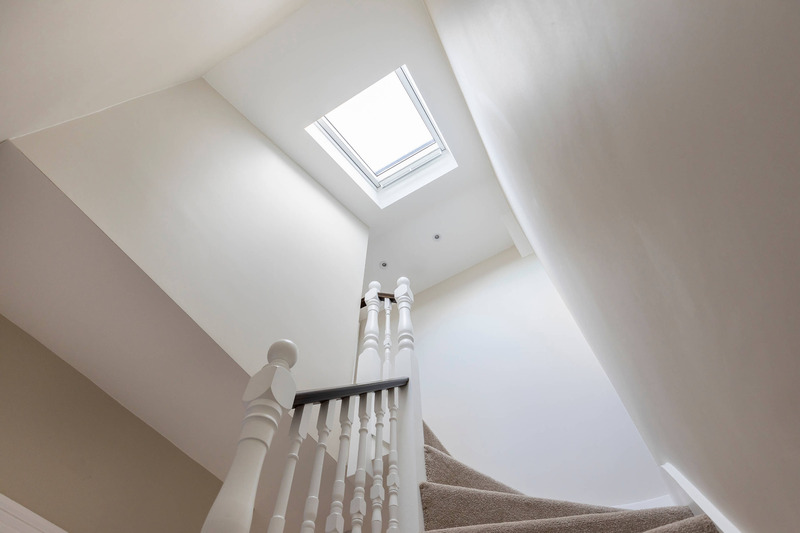 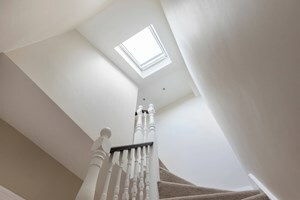 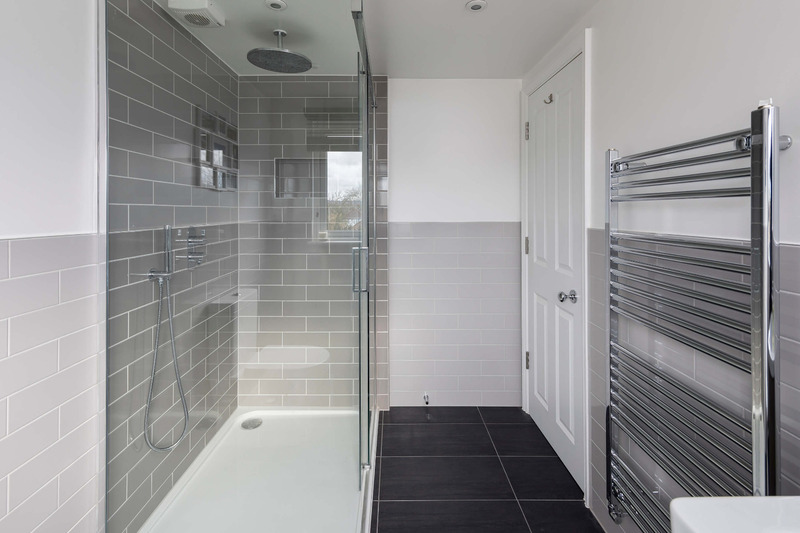 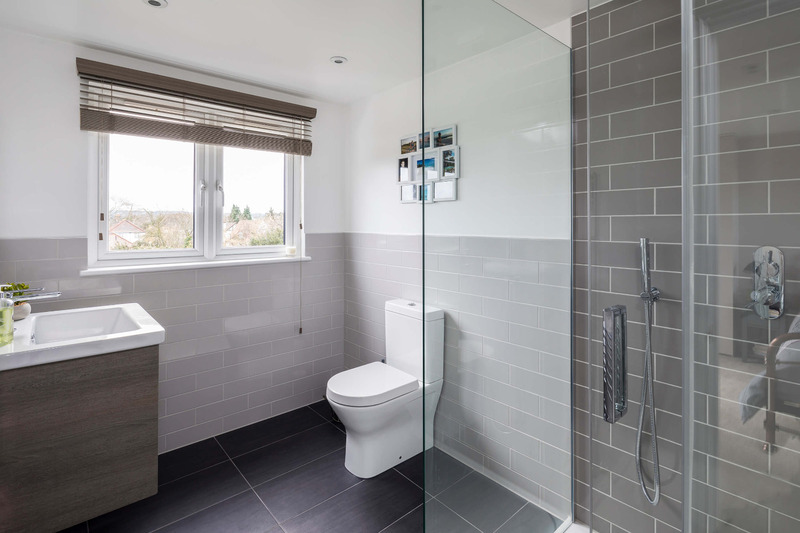 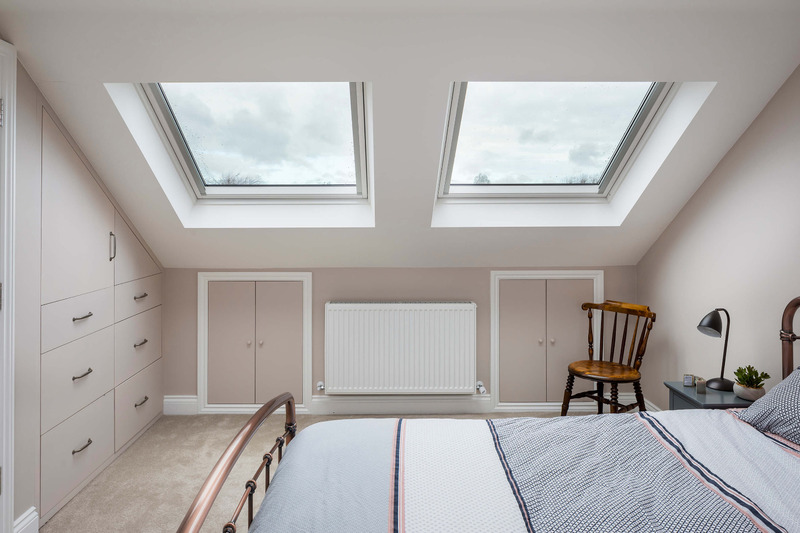 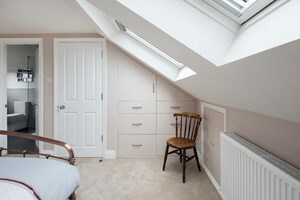 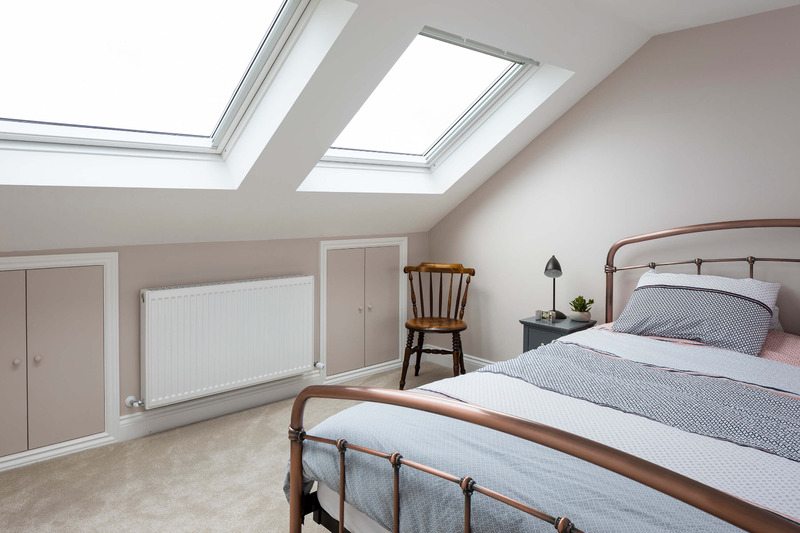 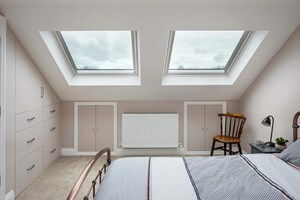 We constructed this rear dormer loft conversion in Ewell which was a great size for a double bed and spacious en-suite shower room. 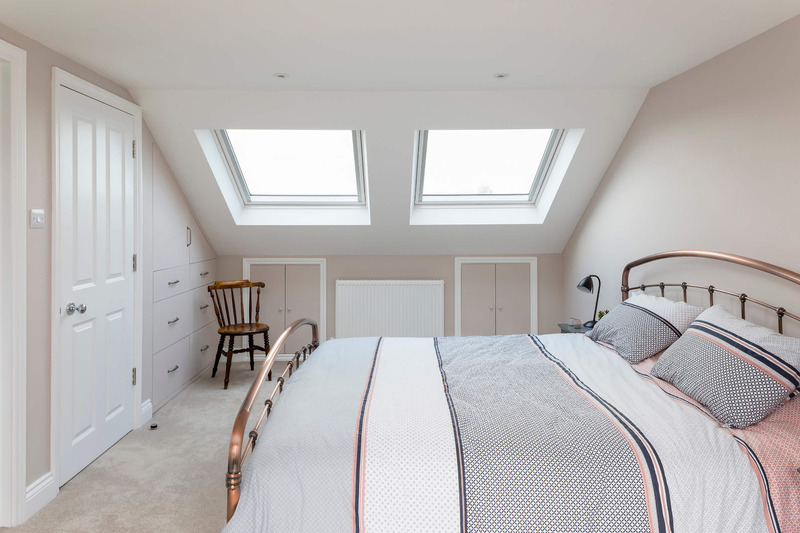 The bedroom had an abundance of natural light thanks to the large Velux windows at the front and the French doors at the rear. 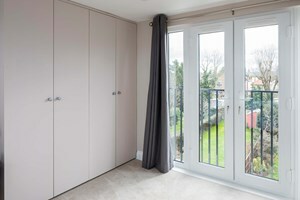 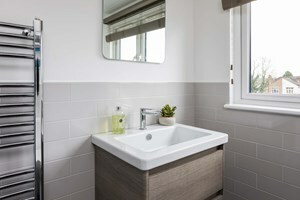 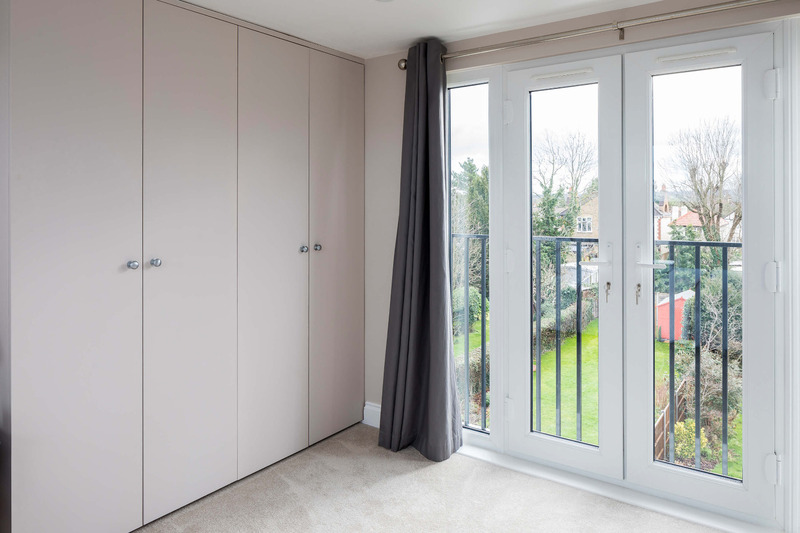 With a full height built-in wardrobe, six cavernous drawers and under eaves storage, there is plenty of storage space too.